Vikings in 2013, the SAGA so far…. Last Thursday whilst in the starting stages of my ‘stomach bug’ I drove (rather than trammed it) down to the club and played 2 games of SAGA. Those of you who didn’t notice, I had to evacuate the club pronto as my lunch was trying to evacuate me, so a 10 minute drive home to relief…. So what’s this post about? Well, I picked up SAGA last year as an alternative rules system to play with my Viking models that I had bought to play ‘Clash of Empires’ campaign with at my local club…. which never happened as the Chap going to run it moved away. So when he moved away I kind of dropped my Vikings, I had made around 20 of the Plastic Hirdmen (Gripping Beast figures) and based up all my metal figures (Crusader and Artizan), you can see more about this on some early posts. When I found out that a local SAGA campaign was to start (and had players ready) I contact Matt who was running it and then signed up on the forum. What’s SAGA then? Well it’s a Skirmish history war game that uses some faction from the 8th to 11th century. Lucky for me that’s the time we had Vikings living and warring here in England. It’s written by Tomahawk Studio who don’t have an English website just yet….. The main rulebook is not a huge book like Warhammer Fantasy as it has just 74 pages which tells you the rules, some history stuff, the factions, how to use the battleboard and finally heroes, measuring sticks and some Fatigue tokens. So it doesn’t take long to read the rules and not that long to build an army. That’s because it’s nice and simple. Your Warlord is free (unless he’s a Hero – then it’s 1 point). You Hearthguards are your best warriors, and you get 4 of them for 1 point. You Warriors are your normal warriors and you get 8 of them for 1 point. Lastly your Levies are, well just them. You get 12 for 1 point. Most games are played at 6 points, however they tell you to start with just 4. Hero – Ragnor Lothbrok, King of Sweden and Norway – 1 point. I chose this Hero because he allows all the units to move for free (see later) plus he also ignores 2 hits per unit, when he’s attacked. These guys were going to be the body guard of Ragnor. These chaps are the ranged unit for Vikings. Seems the Vikings preferred the up close and bashing kind of war. When I arrived at the club I started to sort out my models. I’ve been a bit lazy (and busy) and I’ve not even undercoated these chaps yet so they look silver and plastic. I found out I had just 8 Bondi Bowmen, yet needed 12 to make up the Levy unit. I also had problems making up the 16 Warriors as I have just 12 Bondi, so I mixed in some plastic hirdmen with them. Therefore I need to double check and see how many more Bondi (Warriors) that I need. Looking at Artizan Designs again I see that they do a Bondi pack that’ll do just right. Plus I need some flags I think, so I’ll look around for them later – need to actually paint my models. So back to what happened on the night. Let’s say that I lost. I lost both games with the first one being closer than the second. First off I played Dave who was running a Jomsvikings army. I didn’t know what Wrath meant, nor was it was used for but now I know. It allows their best abilities to be used and only when you have enough points. Split into 3 units from what I can remember, 2 units of 8 and 1 with 4 who was his Heros bodyguards it seemed. During the start of your turn you roll your SAGA dice. The total amount depends on the units on the table. You then take these dice and place them onto your battle board. These are the abilities that you may use in this turn (you may leave them on the board for the next turn if you wish). These abilities allow your army to do certain things. In the case of my Vikings I have an ability called ULLR which allow me to re-roll any missed hits. I needed this but didn’t notice it as I was still learning what was what. Daves Jomsvikings have abilities that tell you to either remove some of your own models or allow his wrath to build which affected me on 2 turns, lucky I had some levies to spare. Fatigue is also a very important part of the game. Fighting or making 2 activations in 1 turn earns you fatigue. Your opponent can use your fatigue to lower your armour, increase his armour etc. In the end I lost, this was to the way I set up my units on the battlefield, to the way I used my battleboard (I was learning) and to the way my dice rolled and Daves did’ For example my Hero took on 1 Hearthguard and depsite the five attacks and using fatigue to lower his armour (I needed 3’s on a D6) he didn’t die. But it was Victory points that mattered. Counting up VP’s I think Dave got 23 and I got 13 I think. My second game was against Garys Welsh. The main difference here is that he had plenty of ranged attacks and mounted Hearthguard with his Hero. This Warlord limits how many SAGA dice you roll in the 1st two turns, doesn’t have much effect upon Vikings but could seriously inhibit some other factions. 4 of these were mounted and used alongside Mardedudd. These were split into 2 units, so 8 per unit. Both units had Javelins. Levies – 12 figures – 1 point. These guys were armed with slings. Very basically I didn’t roll the terrain on this one, and it was the terrain that cost me as much as my dice. When entering rough terrain your move is dropped to 4 inches, however the Welsh have an ability to drop that to 2 inches which happened. They can also Taunt a unit, who then must have towards the nearest unit and of course my Hearthguard were taunted onto rough ground and then slowed. Just to make matters worth I still had 6 Hearthguard that smashed into his Warriors (6 vs 8) and the end result was that I lost 2 Hearthguard and he lost 3 Warriors. I was not impressed with my dice as I needed against just 3’s to hit and I had 15 dice! In the end I couldn’t move my units up fast enough and his mounted unit made short work of my right flank, this battle was ended due to the 6th Turn finishing and my Warlord survived along with around half of my army. Gary scored 13 VP’s and I scored 7. Not the highest scoring game but I learned a lot on this one, and started to remember to use my Battleboard. My plan for the next round in 2 weeks is to paint some of my Vikings – yes I know that’s impossible but that’s the plan, well here is the plan. Tomorrow – glue up some shields that missed off and undercoat at least 8 of the Bondi. During the week, paint these 8 bondi! Easy, oh well, check back here and we shall see. A few months back we had an offer posted on the Clubs forum, regarding Clash of Empires (CoE). This is described on Amazon as ‘Tabletop Wargaming Rules for Battles from Deepest Antiquity to the Medieval Era’. I enquired into what CoE was really all about via our clubs forum and got told that it was all about historical gaming from all periods of history from Classical to Roman through to Viking, Dark Ages and through to the Medieval period of history, it sounded ace. What was better though was that Great Escape Games were offering the club a great offer as they have recently released the second source book for CoE called ‘Age of Ravens’ which to my delight had Vikings. As I keep being told I have vikings blood in me (I burn as soon as the sun comes out, I have a large frame, I am aggressive and I have a beard and a thirst for ale…) anyway I’ve always liked them since a school visit to the Viking Museum in York all those years ago. The main rulebook ‘Clash of Empires ‘ nearly 200 pages of A4 lovelyness all contained within a hardcover. Printed on what feels 115gsm silk paper showing that no expense has been spared and laid out in a way easy to find the section you want as they’ve colour coded the sections. In this book as you’d expect you have rules concerning Army list creation, movement, combat, morale, game sequence, scenarios and everything you need to play. I’ve had a quick read of this, and I will write a blog post all about this in a few weeks when I’ve had the chance to do that and then had a chance to play this game at the club. The next book we got was the ‘The Rise and Fall of Persia ‘. This is the first source book for CoE, just like the rulebook its a hardback, full colour, silk paper and it’s got 130 pages. It allows you do built 28 armies lists from Classical armies, through to Persian Empire, Cyrus the Great, Peloponnesian Wars (Greek vs Greek) and Alexander the Great. The last book we received is the book I first talked about above, the ‘Age of Ravens ‘ and my favourite book (as it has the Vikings in it). Once again it’s another hardbacked, full colour book with around 112 silky pages and allows you to build up to 18 different armies which are split into different times. As it’s my favourite book of the three and I’ve read it more indepth than the others and so here I can go into a lot more detail. Do not worry, I plan to build an army for the first source book and when I do, I’ll let you know. As mentioned, the book is split into three different times and within each of these are a number of Armies of that time. Here are the three periods with the lists contained within. Between each period you are given pages of photographs showing miniatures representing various units and armies from the period, pages of them in fact and all in full glorious colour. Plenty of reference models shown and you’re told who makes them, and my flick through to find this information showed that a fair few seem to be made by Gripping Beast. But then finally slips in some more information on wargaming in Viking Britain and Western Europe in the 9th-12th centuries. My aim was to get into the Vikings and I was pointed towards the Viking Great Army. Lucky for me Great Escape Games have read my mind and have produced a ready to purchase Army! 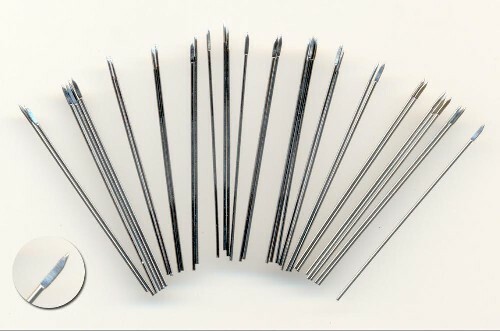 Here’s a link to that product, look at that £80 (plus a bit of P&P) for 128 models (28mm), of which it’s a mix of plastic (Gripping Beast) and soft metal (Artizan Designs and Crusader Miniatures). As you can see, a great deal when compared with other games and this is enough for 2500 points. 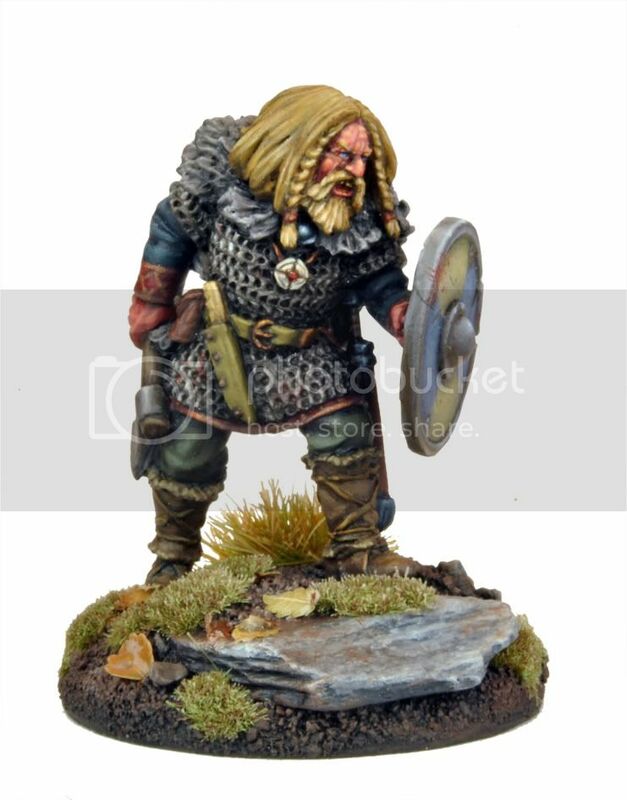 One thing I forgot was that as I was one of the first to get the new source book I received a bonus figure, according to the Great Escape Games website it’s a Viking Warlord! Exactly what I need and here’s a picture. Anyway until next time, have a good one and keep fighting.